They have typical Pipistrellus appearance but are characterized by the thickened pads at the base of thumbs. They roost in bamboo stalks but are not the flat-headed Tylonycteris of Southeast Asia nor the funnel-eared Kerivoula of Taiwan. The genus Glischropus is a group of small vespertilionid bats endemic to the Indo-Malayan region. Three species have been recognized, including G. bucephalus earlier described by Dr Gábor Csorba of the Hungarian Nature History Museum (HNHM) in 2013. However, this month, Dr Csorba, Tamás Görföl (HNHM), and four SEABCRU committee bring exciting news of another new Glischropus species. Based on morphological and genetic evidence, Glischropus aquilus, the fourth member of the genus, is reported from southwestern Sumatra of Indonesia. 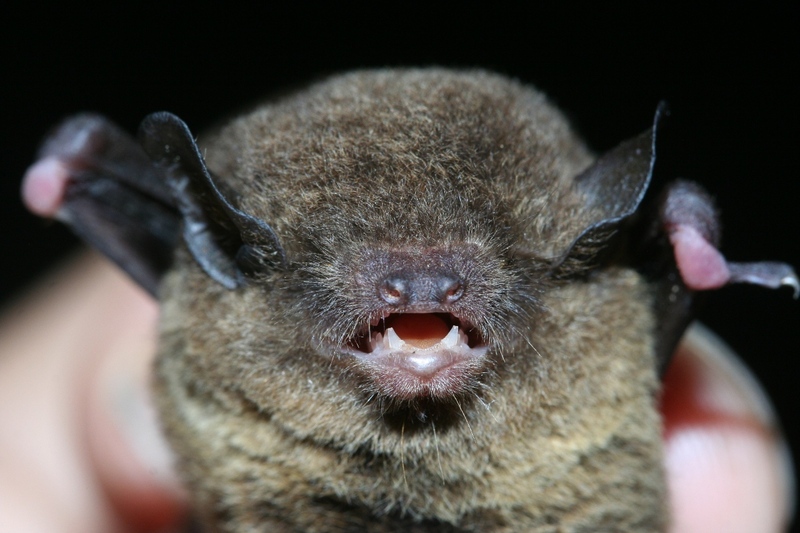 The bat is named for its dark coloration, which distinguishes the species from its three congeners. This finding brings the count of bats to 88 species for Sumatra and 222 species for Indonesia. The project is supported by a collaboration between four museums of four countries, highlighting the significance of SEABCRU taxonomic network. Thumb-pads up!